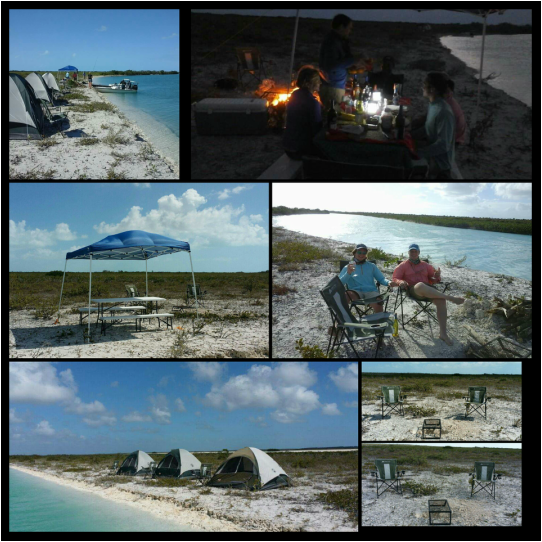 Fish Camp Adventures can be arranged to several locations including the west coast of Andros. Due to the logistics in arranging camping a minimum of 3 nights is required, meals and some camping equipment will be included. This experience involves days of fishing and rustic island camping like you have never experienced before. These trips are only recommended during, October – May due to the environment ﻿﻿﻿﻿﻿(heat and insects)﻿﻿﻿﻿﻿ we encounter in The Bahamas. Inquire on fish camp packages and their rates.